As well as inviting external speakers to our seminar series, we also use the seminar series as a platform to promote the research in our Faculty. 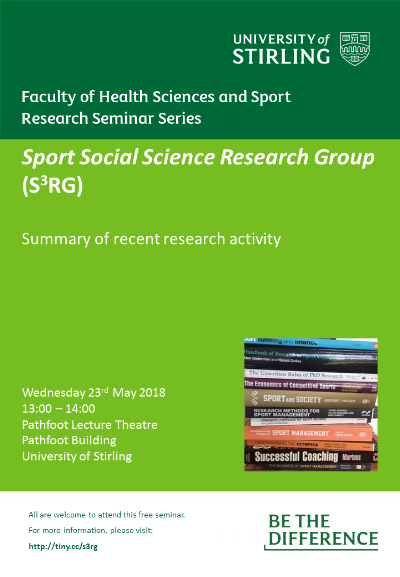 In May we welcome the Sport Social Science Research Group to the podium to present a summary of their recent research activity. Drawing on the disciplines of economics, finance, management, sociology, sport for development and coaching, the group’s work is concerned with understanding and reflecting critically on the ways in which sport affects and impacts society.